A new law prohibiting the “Nazi” curse and the cynical use the Nazi’s yellow star for Jews will be introduced in the Knesset. 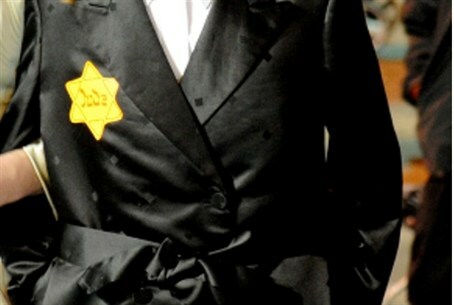 A new law prohibiting the “Nazi” curse and the cynical use the Nazi’s yellow star for Jews will be introduced in the Knesset by Kadima Knesset Member Yoel Hasson, he said Sunday morning. If the bill is passed into law, violators could be sentenced to six months in jail and/or fined NIS 100,000 ($26,000). Saturday night’s use of the yellow star by demonstrators in the hareidi religious neighborhood of Mea Shearim in Jerusalem prompted MK Hasson to prepare the new bill, he said. “We were witness last night to a cynical act and disparagement from the same extremists that spit on children and curse soldiers simply because they are women,” the Kadima legislator explained. MK Hasson pointed out that many European countries outlaw the use of Nazi symbols.